President Trump promised Senator Gardner of Colorado he would support efforts to protect states that have legalized marijuana. In exchange, Gardner will stop blocking DOJ nominations. Since Attorney General Jeff Sessions revoked the Cole Memo in January, Garner has held up about 20 Justice nominations. President Donald Trump promised Republican Senator Cory Gardner of Colorado he would support efforts to protect states that have legalized marijuana, ending a standoff on Department of Justice nominations. "Since the campaign, President Trump has consistently supported states' rights to decide for themselves how best to approach marijuana," Gardner said in a statement. "Late Wednesday, I received a commitment from the President that the Department of Justice's rescission of the Cole memo will not impact Colorado's legal marijuana industry." "Because of these commitments, I have informed the Administration that I will be lifting my remaining holds on Department of Justice nominees," Gardner added. The Washington Post first reported the development, and the White House confirmed on Friday Gardner's statement was accurate. In January, Attorney General Jeff Sessions revoked the Cole Memo, Obama-era guidance designed to discourage prosecutors from targeting states that have legalized marijuana. The move provoked an outcry from marijuana friendly states, including Gardner's Colorado, in which the marijuana industry has flourished since 2000. Angry that Sessions had reneged on his pledge to leave marijuana states alone, Gardner promised to block all DOJ nominations, pending a resolution. Since then, he has held up about 20 Justice nominations, the Washington Post reported. "Clearly, we've expressed our frustration with the delay with a lot of our nominees and feel that too often, senators hijack a nominee for a policy solution," White House legislative affairs director Marc Short told the Washington Post on Friday. "So we're reluctant to reward that sort of behavior. But at the same time, we're anxious to get our team at the Department of Justice." Trump "does respect Colorado's right to decide for themselves how to best approach this issue," Short added. Gardner and other senators have been discussing legislation that would prevent federal government intervention in states that have legalized marijuana. Nothing has been finalized, according to Gardner's statement. "My colleagues and I are continuing to work diligently on a bipartisan legislative solution that can pass Congress and head to the President's desk to deliver on his campaign position," Gardner said in a statement. This move comes days after former Republican House Speaker John Boehner announced he would join the board of a medical marijuana holding company. Advocates have called this announcement a watershed moment for the marijuana industry. Last edited by Judy; 04-15-2018 at 10:42 PM. Boehner came around, so it must be right! 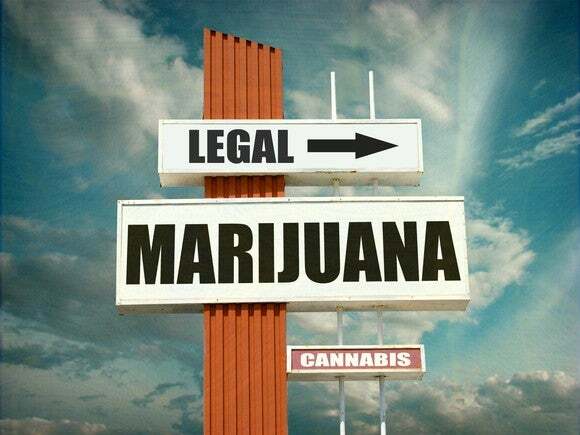 Most Americans know this is the right policy for the United States and its citizens on many many fronts and issues related to the illegal drug trade, especially marijuana and hemp. Last edited by Judy; 04-15-2018 at 11:40 PM. I suspect Boehner did it for private financial gain. Trump capitulated to pressure from a single man. President Trump promised to be a law-and-order president. Marijuana is a schedule 1 drug and as such is illegal under federal law in the United States. Trump capitulated to pressure from a single man. WRONG!! Trump campaigned on supporting medical marijuana and leaving recreational marijuana up to the states. That was his position throughout the campaign. Edited to insert quote because MW couldn't tell from his own post what he was wrong about. Last edited by Judy; 04-16-2018 at 06:33 PM. You obviously failed to understand what I was saying, please read again. Is there something not true about this? Now, though, it appears that the president has overridden his attorney general. Gardner announced that President Trump committed that the federal government wouldn't challenge Colorado's state laws allowing marijuana use. Even more importantly, Gardner said that the president pledged to support "a federalism-based legislative solution to fix this states' rights issue once and for all." Even Canadian marijuana stocks that don't have significant U.S. ties received a boost. The share prices of the two largest Canadian marijuana growers by market cap, Canopy Growth(NASDAQOTH:TWMJF) and Aurora Cannabis (NASDAQOTH:ACBFF), rose 7% and 8%, respectively. A return to a hands-off policy by the Department of Justice when it comes to states that have legalized marijuana helps the U.S. marijuana industry, but is really only a temporary solution. As long as the threat of federal intervention remains a possibility, a dark cloud will hang over marijuana-related businesses. Aphria, Aurora Cannabis, Canopy Growth, and other Canadian marijuana growers would likely rush to establish large operations in the U.S. There would probably be a scramble for U.S.-based companies to list on stock exchanges, presenting more alternatives for investors who are largely limited to Canadian stocks right now. Scotts Miracle-Gro could find itself in a similar position as the companies that provided shovels to miners in the gold rushes of the past. MW, I edited my post to add the portion of your post that you were "WRONG!" about. Trump did capitulate from the pressure Sen. Gardner put on him. Gardner was blocking Trump nominees to the DOJ and Trump was willing to sell his first born to get Gardner to back off. So, Trump made a deal with the devil to get what he wanted. This would have never happened had Sen. Gardner not applied the screws to Trump. Of course in typical Trump fashion, he folded and made a deal. Could legalized marijuana increase cartel profits, violence?